I attended a dinner the other week in honour of the lovely Miss T, soon-to-be-lawyer and sometime Melbourne Gastronome hand model. 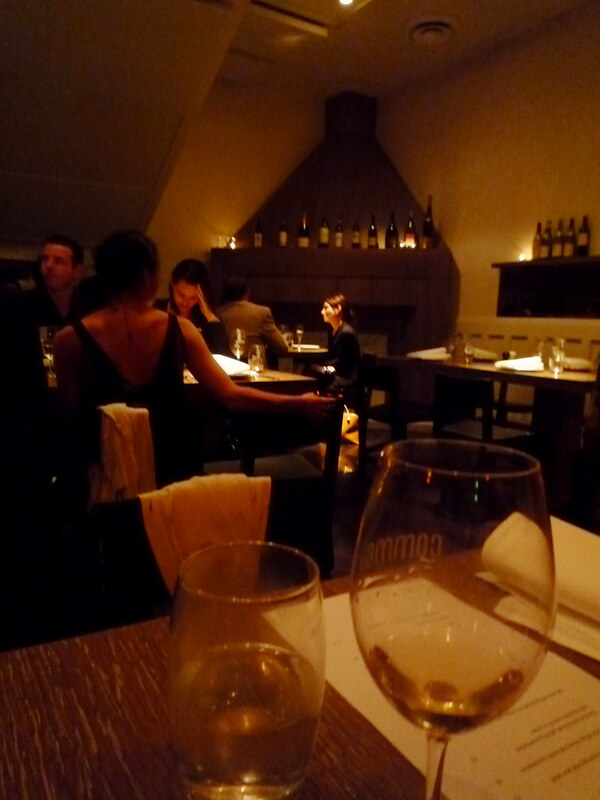 She'd chosen Comme as our dining venue. I must confess that I had some doubts beforehand, given that my previous Comme experiences had been confined to fighting my way through crowds of investment wankers from 101 Collins at the Comme bar on a Friday night (shudder). 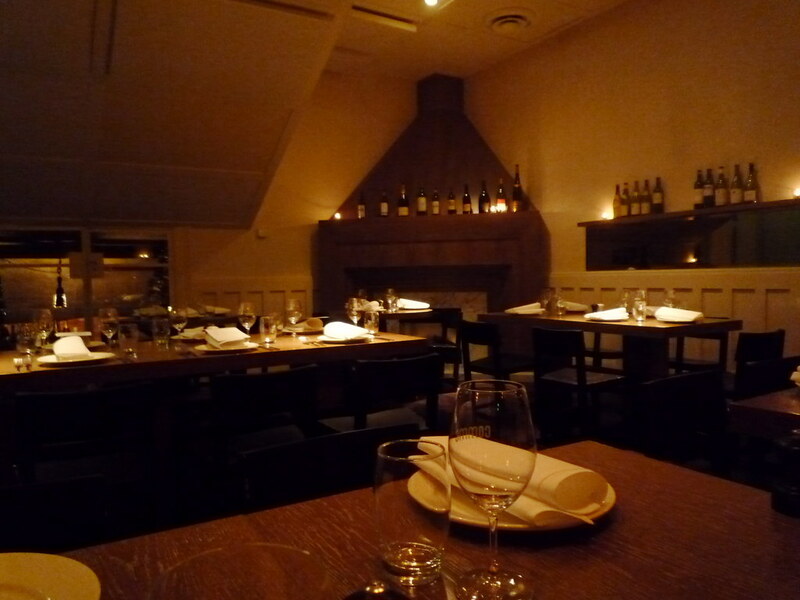 But I'm pleased to report that the restaurant is really rather lovely, and does some damn nice charcuterie. 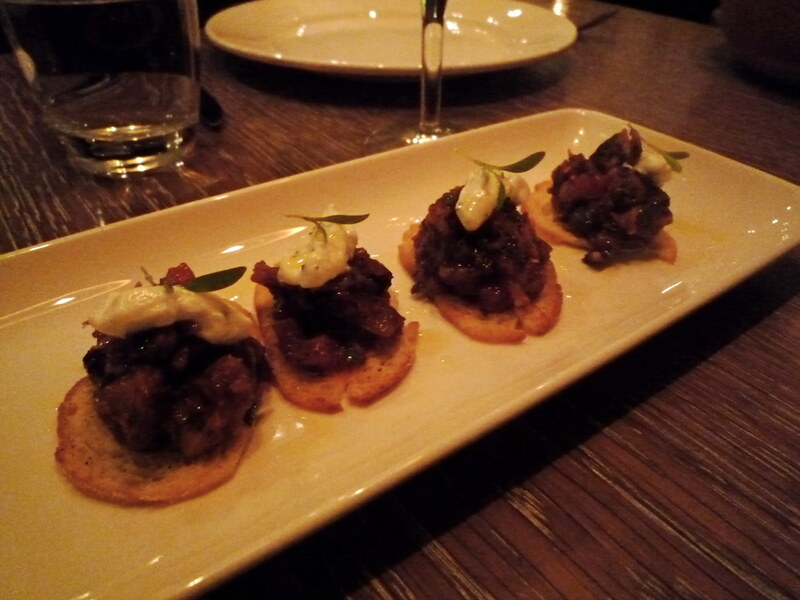 We placed our order of dishes to share, but at the last minute I interjected and ordered us some little crostini as well, with spiced eggplant and minted yoghurt ($2 each). To think that two years ago I hated mint!! I must have been mad. Needless to say, these little morsels were scrumptious. 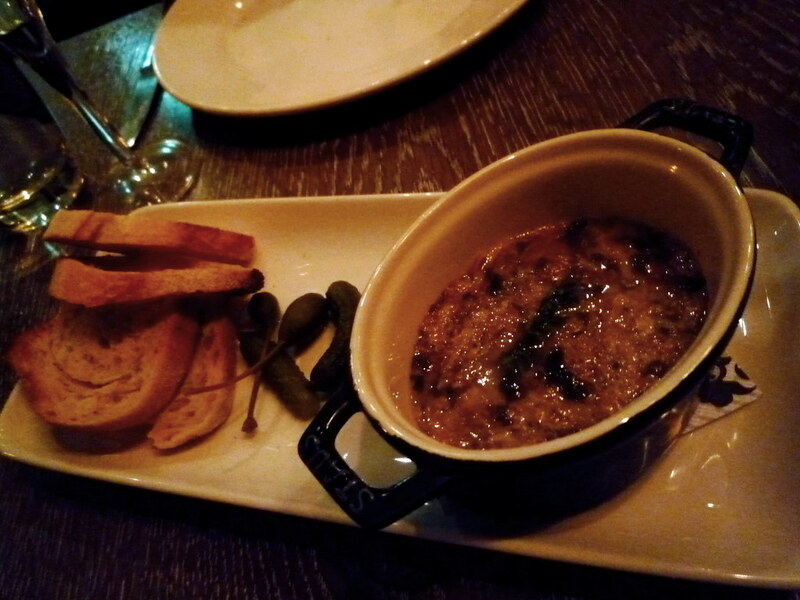 One of the specials was a rabbit and prune rillette with caper berries and cornichons. I'd pricked my ears up when our rather dishy waiter mentioned it, and luckily the girls were all down with the whole rabbit thing. The rillette was still rather rough and chunky, but lovely and rich. The tart cornichons and caper berries were a great match. 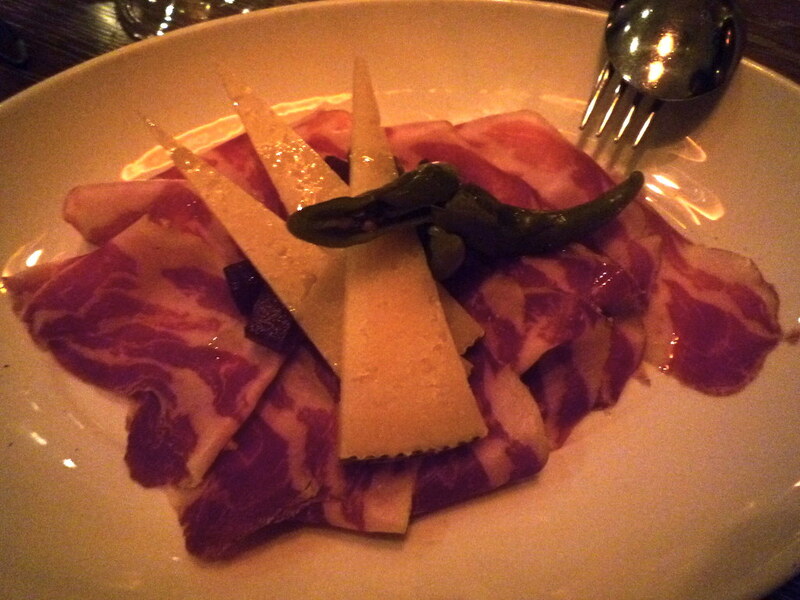 Also very very good was the kurobuta capocollo with manchego, quince paste and pickled chillies ($14, 40g). From the neck of the pig rather than the leg (the latter used for prosciutto), capocollo is one of my favourite cuts of charcuterie. Luckily my nonno makes one for our family every year! 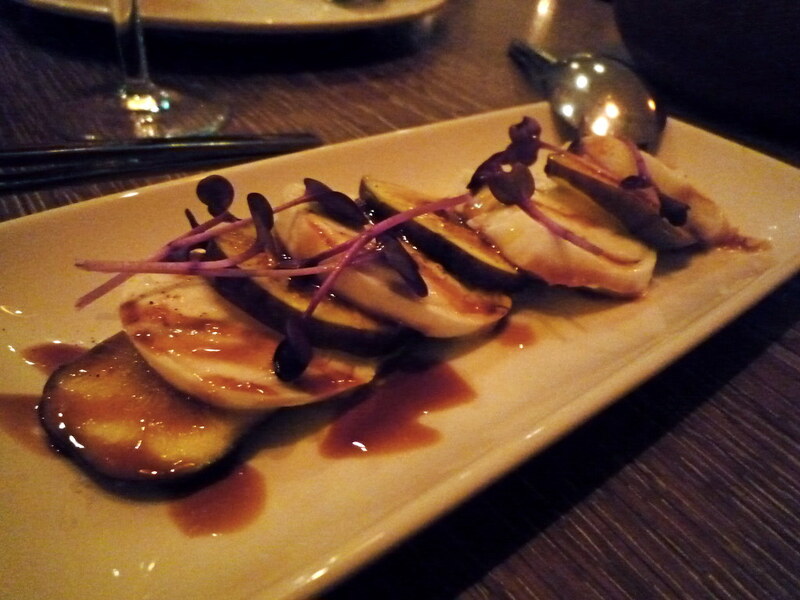 Also ridiculously good in its simplicity and quality was the salad of mozzarella di bufala and fresh figs ($16). Don't you just LOVE fig season? 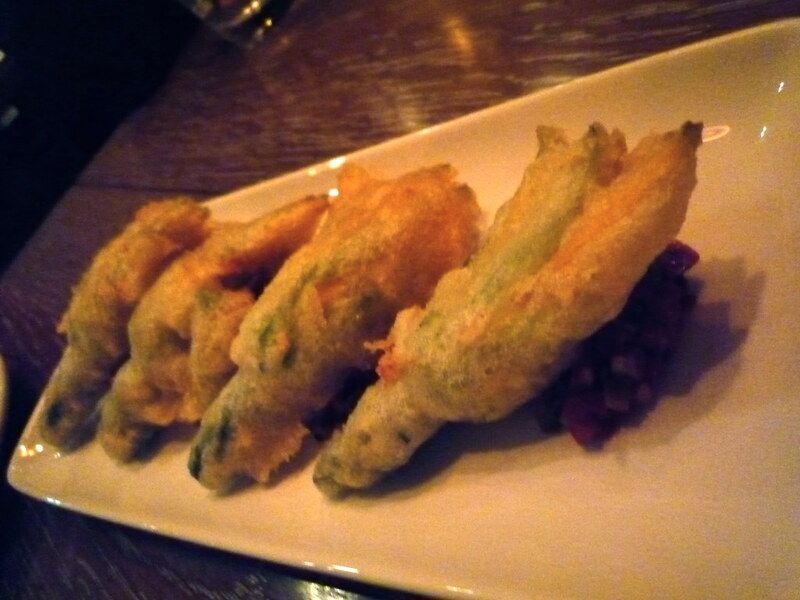 I liked the tempura of zucchini flowers, goats cheese and Provencal relish ($5.50 each) but they were perhaps a tad boring (I know, this sounds strange coming from the gal who once said that if she had to plan her last meal on earth then zucchini flowers stuffed with goats cheese would be the entree). I think in this case the tempura batter was a bit too thick for my liking. 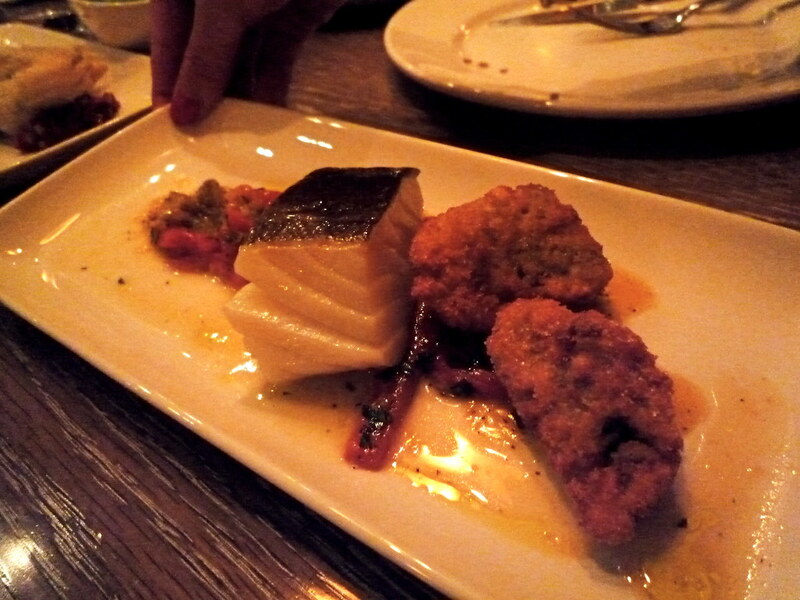 The only dish that I was actively disappointed in was another special of poached baccalà, served with roasted red peppers and deep fried oysters. Being the good Italian girl that I am I usually love baccalà, but this one didn't have much flavour, and the deep fried oysters seemed plonked on the dish as an afterthought. However all was forgiven when the Spanish mackeral arrived at our table, served with smokily seared witlof and a sinful Sauternes beurre blanc ($17 - we got two of them for the four of us). 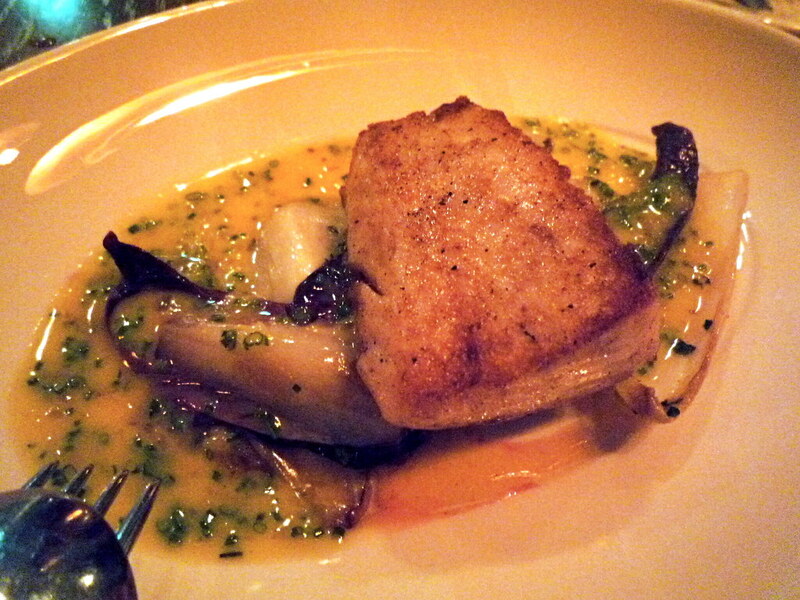 I don't order white fish that often but I'm very glad B suggested we get it. 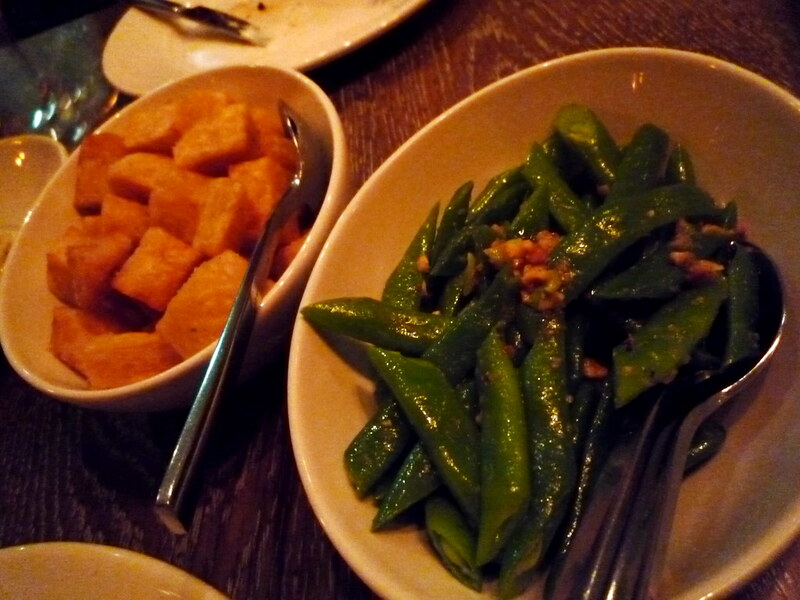 We didn't order any other mains or meats, just ordered some sides of runner beans with hazelnut butter ($8, dee-licious) and Russet Burbank potatoes roasted in wagyu fat and rosemary salt (also $8). Allow me to drool Homer Simpson style when I tell you - and this may sound like an insult, but I mean it as a compliment - that these roast potatoes tasted like the most delicious posh potato cake the world has ever seen! None of us could resist the dessert menu when it was passed around. 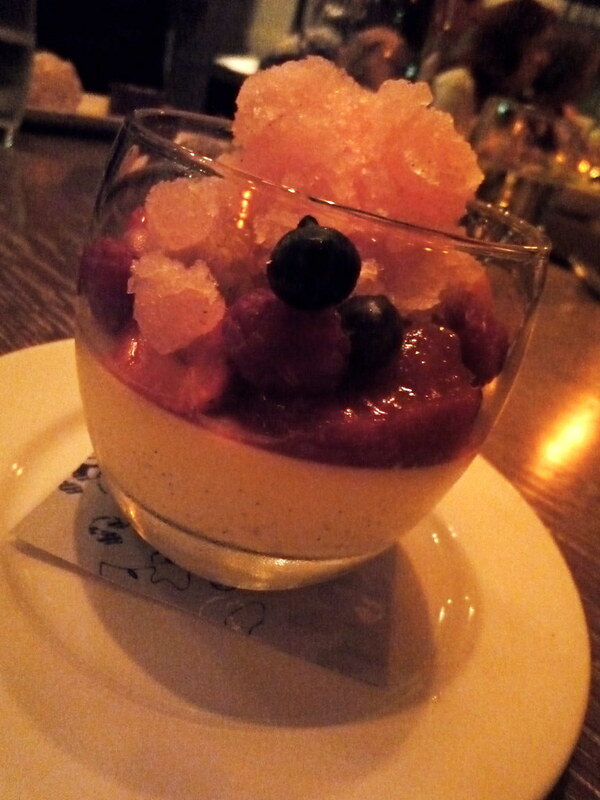 The guest of honour Miss T selected and enjoyed the pannacotta of summer berries and champagne granita ($15). I'd looked up the menu on Comme's website the week before our visit and had announced to the LWL that I'd simply HAVE to order the chocolate, almond and salted caramel delice, served with milk chocolate malted ice cream ($15). And oh my it was good. Rich as all hell (practically fudge, and with a runny salted caramel centre!) and highly recommended. 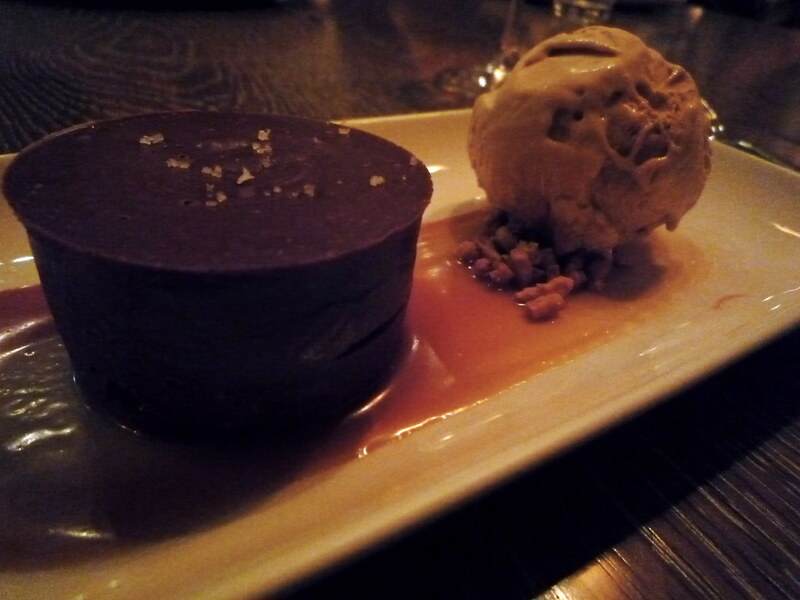 Oh, and it seems that (along with manchego) salted caramel is totally the new black. 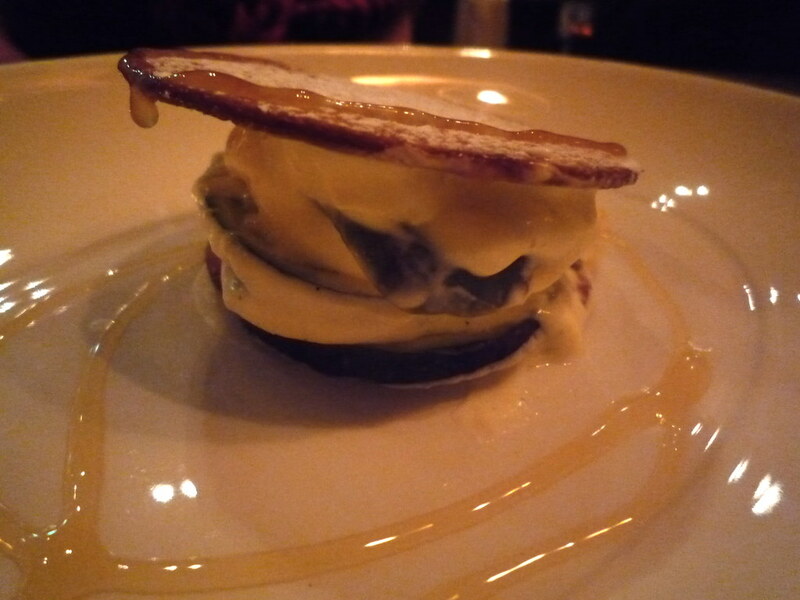 Not only was it present in two scandalously good offerings at the recent food blogger banquet, I had it last week at Cutler & Co as well (review coming very soon!). Four times in one week! Perhaps we're seeing an Australian trickle-down effect of its increasing trendiness in the US, especially since Obama professed it was his favourite candy? Whatever the reason, I adore it and am thrilled to find it popping up more often. Partly because the delice sounded incredibly rich just from the description, and partly because the fresh figs in the salad had been so lovely, I suggested to B that we go half-half on two desserts rather than have one each... so we shared the delice and the millefeuille of figs, honey and mascarpone ($14). I think I enjoyed the millefeuille even more than the delice, if that's possible - just look at that delicious stalactite of honey! Again the freshness of the fruit really cut through the dish, and the pastry (which can so often be a let-down) was excellent. Very keen to head back there in a few months to hopefully try new dishes. You were right Jack, their charcuterie was fantastic! Whoa, those desserts look deliciously lethal. Thank you for identifying salted caramel delice for me. 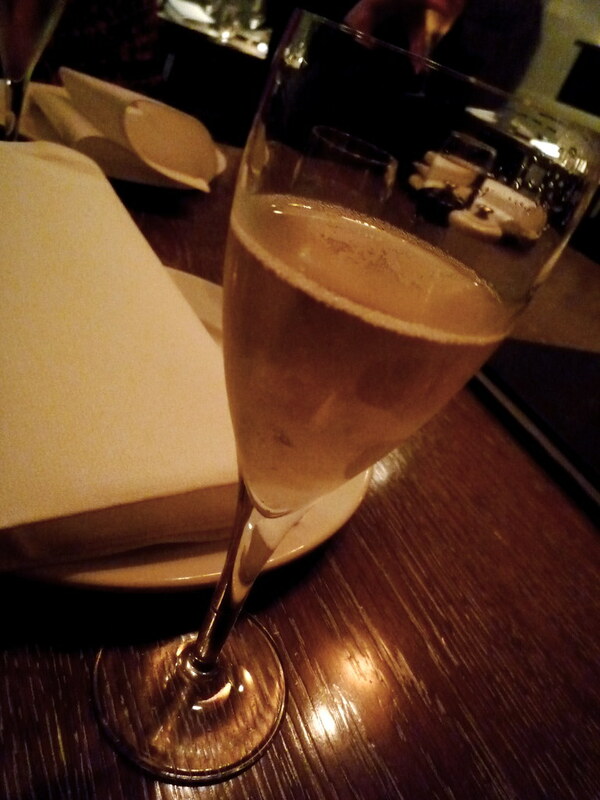 I hope to enjoy it soon (but at a different place).